Snapchat was the first social media platform that allowed users to have secret conversations without letting anyone know. This kind of platform allowed children to communicate with others secretly without their parents knowing. But, did you know you can spy on someones Snapchat with the help of a monitoring tool? If you haven't heard about that already, then don't worry. 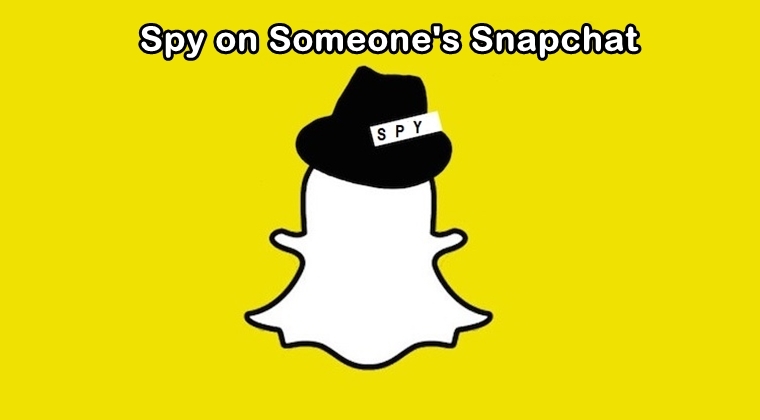 We will be letting you know how you can spy on someone's Snapchat in spite of it being a secret social media app. Popular social media platforms like Facebook, WhatsApp, and Snapchat are being used by users all across the globe extensively. While these platforms help bring people closer, they are now also posing threats to users, especially children. These social media apps might be beneficial and useful for the people in many ways but at the same time, they have also become the reason for the growing conflicts and emotional imbalance in society. Snapchat is one such platform that lets people, especially children, and teens keep their conversation hidden from their parents and guardians. The privacy features of Snapchat are such that they allow the user to delete the conversation, pictures, and videos after a set period of time. In fact, all the content shared on the app automatically disappears after twenty-four hours. Children can have secret conversations and all their exchange will get deleted unless they want to keep it saved. This is why parents should take a strong notice regarding Snapchat because they may never know what their child is up to on the app all day and whom they are having secret conversations with. Parents can always gain physical access to their child's mobile device and see their Snapchat activity but chances are their child is not going to like this idea. Therefore, parents must adopt some other way, perhaps a more secret way, to monitor their child's Snapchat activity. A Snapchat can be monitored stealthily using a monitoring tool. We are just not talking about a simple monitoring tool because there is hardly any monitoring solution out there that allows you to spy on someone's activity secretly. Mobistealth allows you to secretly spy on someone's Snapchat without letting them know. That means when this Snapchat spy app is deployed on your child's device, it won't let them tamper with it. They can go on using their device without knowing that a monitoring tool has been installed on it. Using Mobistealth is really simple and easy. All you need to do is download the monitoring app from its official website and then get it installed on your child's mobile device. As soon as the app is installed on the device, it will start recording all their Snapchat activity and then share that information with you on your online dashboard. You can remotely monitor your child's Snapchat activity through the online dashboard from anywhere and at any time. Apart from keeping track of their Snapchat activity, you can also monitor their web browsing activity, spy on other social media apps and track their location. Recording phone calls and text messages can also be done using the same monitoring tool.